START YOUR FAMILY LEGACY ON THIS ONE OF A KIND 10 ACRE LOT WITH 263+- FEET OF PRIME LAKE FRONTAGE WITH THE BEST LOCATION ON THE WHITEFISH CHAIN. THIS INCREDIBLE SOUTH . . .
SUNDANCE RIDGE IS LOCATED ON BEAUTIFUL CROSS LAKE. THESE LUXURIOUS UNITS ARE JUST 30 MINUTES NORTH OF BRAINERD, ON THE PRESTIGIOUS WHITEFISH CHAIN OF LAKES. 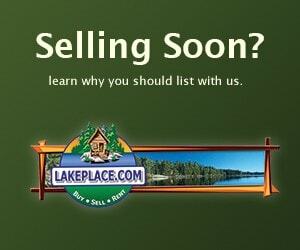 THERE IS A . . .
SUNDANCE RIDGE IS LOCATED ON BEAUTIFUL CROSS LAKE OF THE WHITEFISH CHAIN LOCATED APPROX. 30 MINUTES NORTH OF BRAINERD. THERE IS A RECREATION BUILDING WITH AN INDOOR . . . FINALLY THE FULL PACKAGE! THIS BEAUTIFUL PROPERTY HAS IT ALL! THE LOCATION IS RIGHT ON SOME OF THE BEST WALLEYE FISHING ON THE LAKE. NEVER MISS A SUNSET WITH THIS WEST . . .
NEW CONSTRUCTION, GREAT FLOOR PLAN! IT'S HARD TO FIND A PLACE THIS NICE ON THE WHITEFISH CHAIN WITH ALL OF THE AMENITIES THIS TOWNHOME HAS ESPECIALLY AT THIS PRICE . . .